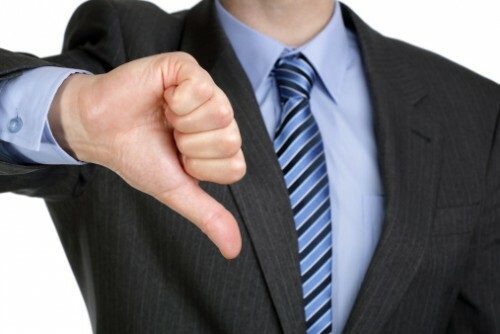 Job rejection is an inevitable part of the job search process for many job seekers. This unpleasant prospect is further heightened by today’s intense competition and increasing specialisation of qualifications and skills. In the course of career coaching and counselling work, I have encountered job seekers who have remained greatly discouraged for long periods of time after facing job rejections. There is no denying that as a job seeker, your confidence can be severely shaken if you are rejected after putting much effort into a job interview. The problem, however, lies in blowing the rejection out of proportion as a personal failure and dwelling on the failure for too long without considering the broader picture. It is important to understand the positive ways of managing job rejections that will help you move forward confidently in seeking the job that you want. The important thing is to accept rejection as a part of the job search process. The reality is that you are not alone — many others in the job market also face the same experience of rejection. Your qualifications or professional worth is not devalued just because you were not selected for a particular job. Rejection must be taken as an opportunity to learn about yourself and your approach to the job search process. Job interviews give important insights about different interviewing styles and what employers are specifically looking for in a candidate entering the industry. Thus it is important to ask yourself questions and reflect on the important things that you have learnt from the interview experience. This will help you to focus on what shortcomings were actually highlighted at the interview so that you can concentrate on improving on them to build up your resumé or interview-handling skills. Never stop seeking opportunities to upgrade your skills and competencies even while you are in the midst of a job search process. • Lack of understanding on how to manage and respond to different interviewing styles. If you have been rejected for a position due to any of these reasons, then you need to address them quickly and effectively before you go for your next job interview. It is important to always stay focused on what you are passionate and determined about in your job search. It is futile to keep blaming yourself or others for the rejection. Also, never link past rejections and failures in your life with a present job rejection. Doing so can create deeply negative feelings that will mentally block your ability to learn and address any immediate issues that you may have to move forward. Finding out why you didn’t get the job is invaluable to improve your chances for the next interview. This will help highlight to the employer your determination to enter the industry and your commitment to self-improvement. However, you must never respond to such feedback negatively or defensively. Another way to prevent becoming overwhelmed by the emotional impact of being rejected is to network as widely as possible. Learn from people who faced similar rejection experiences before finding success in the industry you are striving to enter. Your contacts can help you understand better the expectations of the industry you are trying to enter to build your career. Getting the help and advice of experts is another important way to clarify doubts and re-evaluate your job search strategy. A career counsellor or coach can advise you on how to put together an impressive resumé and handle interviews better. He may also highlight the need to widen your job search or expand your career options. Follow this practical advice, but remember that, ultimately, a successful job search is about persevering and believing in yourself and your abilities.